Thanks so much to everyone that came out to the Holiday Fair! We had such a great Saturday. Although it was a bit chilly, we were so excited to see the neighborhood full with Greenville's art enthusiasts. To recap the numbers, this past Saturday the festival was made possible by 30 artists, 10 volunteers, 5 food vendors, 1 great neighborhood, and over 1,600 attendees! If you were unable to make it to the Holiday Fair, you did miss out. However, be of good cheer. 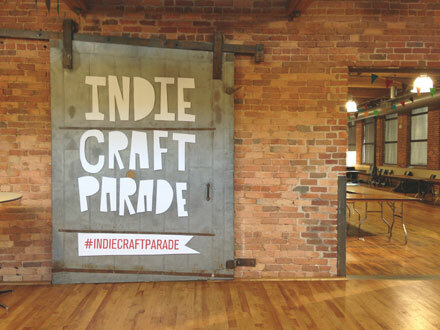 Indie Craft Parade will be hosting events all throughout the year. Make sure you check out our Calendar of Events to see what we've got planned next! Thanks again for supporting Indie Craft Parade and our artists! 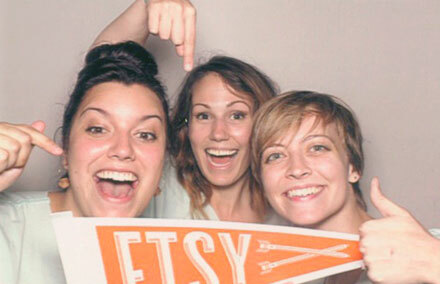 We're so thankful for everyone who buys handmade. If you'd like to see more photos from the event, check out our Instagram feed. You can also search the hashtag #indiecraftparade to see shots from attendees. 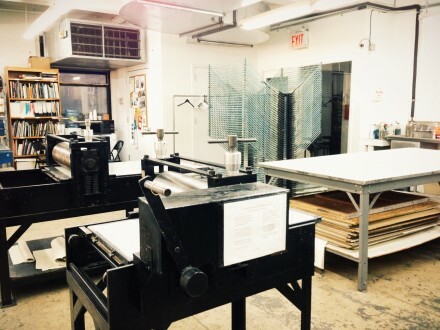 If you're weren't able to attend our Holiday Fair (or even if you did), here are a couple of great art events that are taking place this weekend. Tomorrow is the first Friday of the month, which means it's another great night for an art crawl. Studios up and down the streets of West Greenville will be open to the public, and two of our food favorites---Neue Southern and Asada---will be there to make it a party! In conjunction with the December First Fridays is a fabulous show (AND GIVEAWAY) by one of our long time artist friends--Joey Bradley. Joey has exhibited at Indie Craft Parade for the past two years, and we're continually amazed with the beauty of his work. At this event he'll be doing two giveaways, so be sure to check out the details on his Facebook page and attend the event for a chance to win some amazing fine art. And to finish things off for tomorrow evening on Pendleton Street, you have to check out a show that will steal your heart. It's the annual Kid Art Show, featuring 5 young artists. The show will be hosted at the photography studio of Jeff Hall, Aaron Green, and Christine LeGrand. Here is a video from last year's show! Edit: Another great event we almost forgot to mention is the Art Bomb Luminary Christmas Show! The Art Bomb is a shared artist studio located just down the road from Joey Bradley and the Kid Art Show, at 1320 Pendleton Street. To find it, just follow the luminaries lining Pendleton Street. You can't miss it! We're less than a month away from our first annual Christmas event, and we're getting ready to celebrate a handmade holiday! 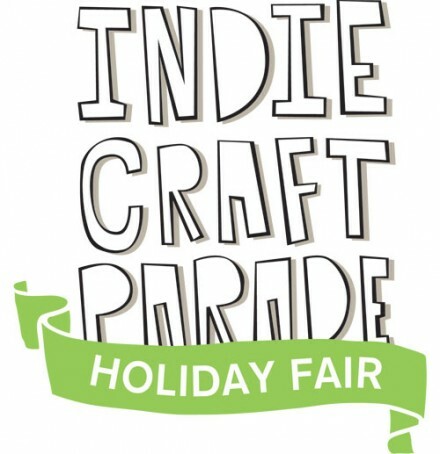 Please share the word with friends, family, and anyone else you know who would love Indie Craft Parade. New Venue! For our smaller, one day event, please note the change in venue from the Huguenot Mill. Here's a map to the new location. We're so excited about all of the artists who are on board for the show. Here they are! **We're not joking about helping us spread the word. We've got stacks of postcards ready to share. Please email jen@indiecraftparade.com if you'd like some to put out at your work, school, local coffee shop or anywhere else. It's time to announce yet another fun project we've had up our sleeve. 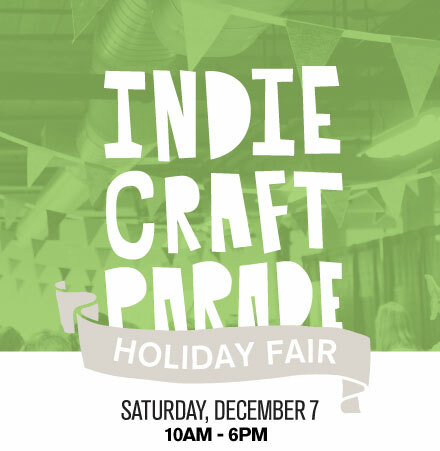 This December, we'll be hosting the very first Indie Craft Parade Holiday Fair! This will be a much smaller scale version of our main event, featuring 25 previous Indie Craft Parade participants. The Fair will be held at Artisan Traders in Greenville's art district (see map below) and will be open from 10am - 5pm Saturday, December 1. Come support local artists and give one-of-a-kind gifts this year. Admission is free, so mark your calendars and plan to bring your friends and family! More details will be coming soon. Applications are officially open for the third annual Indie Craft Parade! Use our online form to submit your work from now until midnight EST June 24, 2012. The application process is done entirely online and it's simple and easy to use thanks to the quality work of Duo Interactive. We can't wait to see all the amazing work that comes in! 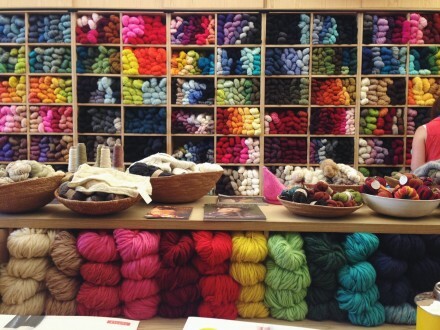 Trunk Shows, Craft Shows and More Events you don't want to miss! It's that time of year--the calendar is filling up with creative events. 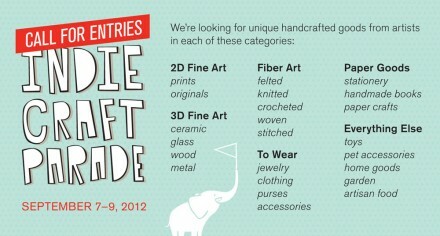 Can you believe that it's just a little more than a month till applications open for Indie Craft Parade?? We're so excited to see the work of artists and crafters this year. But in the meantime, the final days of April hold a number of events that we just have to share with you. It's already been an awesome month with events like the Mini Book Collective and Illyria Pottery Show. So if you don't already know about these upcoming shows, you want to take note. In two weekends, there are TWO notable crafty events on the same day. (Oh to be in two places at once!!) The first event is here in Greenville. It's the Spring Flea hosted by the Swamp Rabbit Cafe and Grocery. If you've never taken a bike ride on the Swamp Rabbit Trail, you just don't know what you're missing. It's one of the best ways to be active in Greenville. And local establishments like the Swamp Rabbit Cafe and Grocery just make it that much better. The Cafe and Grocery offers light meals and snacks to hungry trail goers as well as a host of local farm fresh foods. 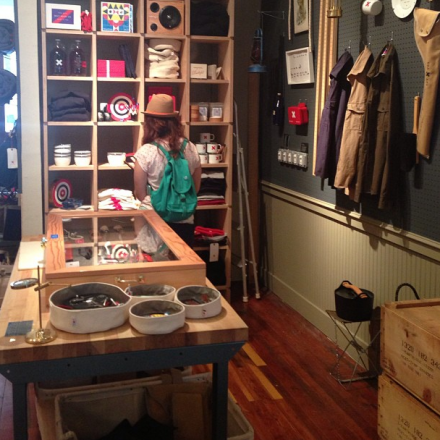 This past Christmastime, Swamp Rabbit Cafe and Grocery hosted their first Flea Market. A number of Indie Craft Parade vendors, including Parachute Clothing, Red Clay Soap, and Malo, participated in the festivities. 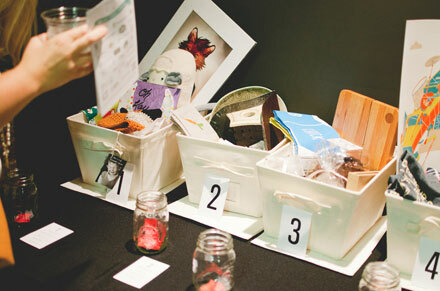 The event was a smashing success, and we're expecting no less for their Spring Flea. This is an outdoor event where you can sample great food, find new handmade products, and meet some great artisans who are making a difference in our community. The second event on April 28 is one we've already told you about, but it's definitely worth the reminder. 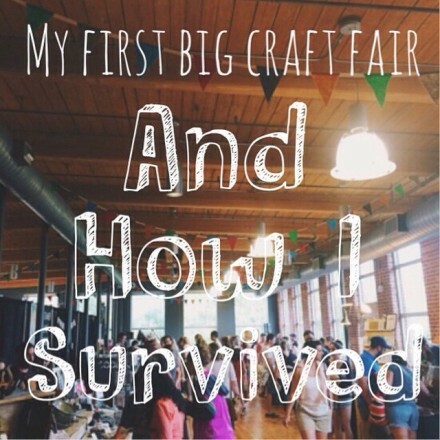 It's Crafty Feast in Columbia, SC. This year, Crafty Feast is hosting 67 vendors at the Columbia Convention Center. Admission is $2. 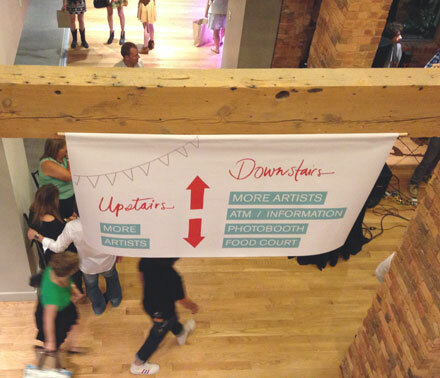 If you're a fan of Indie Craft Parade, then you'll be happy to see some familiar faces at the event. Some of our previous exhibitors will have booths at this event. Besides, these two large festivals, I have a couple of small, but noteworthy events for you to be mindful of. This is short notice, but if you're free this Thursday, April 19, you should stop by local boutique Even A Sparrow for a trunk show. From 5:30 to 8:30 PM, Holly is hosting the Spring Debut Collections of Yellow Elm and Creative Rumors. 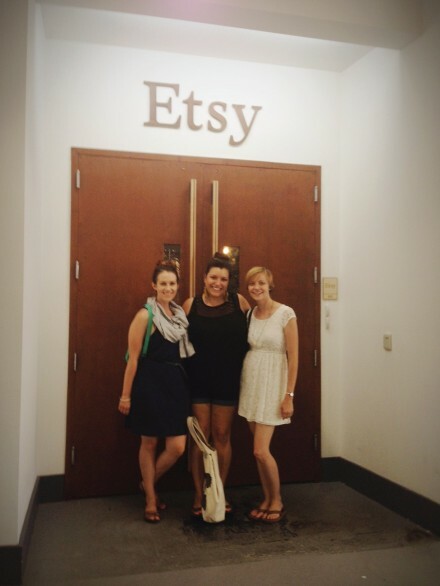 Elizabeth Blanton of Yellow Elm creates adorable felt accessories, and Rachel Hrinko and Lauren Runion of Creative Rumors remake cast-off clothing into handmade goodness. It will be a fun evening you don't want to miss. And last but not least, Deb Potter of Merciful Hearts Farm is teaming up with the Greenville Museum of Art for an educational event. Deb has supplied Indie Craft Parade with gorgeous hand spun yarn for the past two years. And on April 22 at 2:00 PM she'll be demonstrating hands-on coil basketmaking. Ok, that's it for now, but stay tuned. The season of crafty goodness is just warming up, so we'll have plenty of updates coming soon. Don't Forget! Mini Book Collective this Weekend! 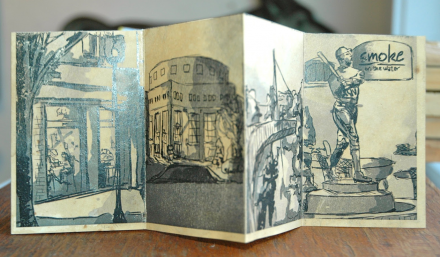 Remember when we announced the call for entries for Mini Book Collective? Well, now all of the applicants have completed their work, and they'll be on display this weekend at Art and Light Gallery. We've got a sneak peek of the work to show you. All of the books are themed on the artists' experiences in Greenville, and I think they've made our little city quite proud. 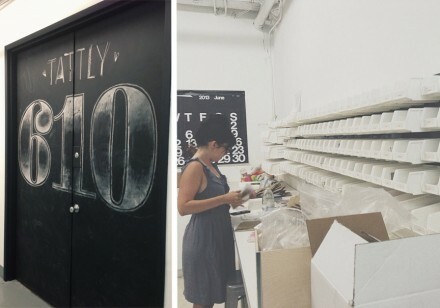 The opening celebration of the Collective is tomorrow night! The show takes place April 6 from 6pm to 9pm as part of First Fridays. This is one special event you don't want to miss! We've got another festival to tell you about--this time from Columbia, SC! Every month, the Columbia Museum of Art hosts craft . bar . happy . 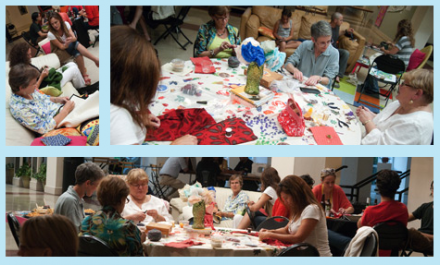 hour, where crafters participate in a "bring your own craft" night. 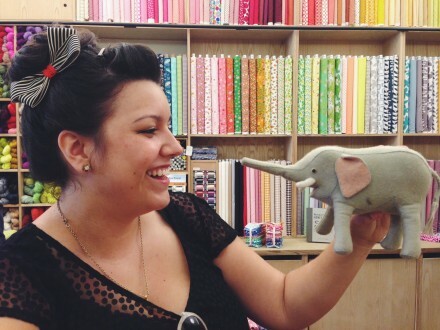 It's a great way to expand your knowledge about crafting and meet new friends. Well, they've decided to expand the event into a full weekend festival on June 1 and 2. It's going to be a juried art market located in the museum, and registration is currently open. Craft Bar Happy Weekend is the inaugural daylong event inspired by the Columbia Museum of Art’s monthly program, Craft Bar Happy Hour. Craft Bar Happy Weekend is a public market that brings together artists and their handmade goods from across the Southeast. 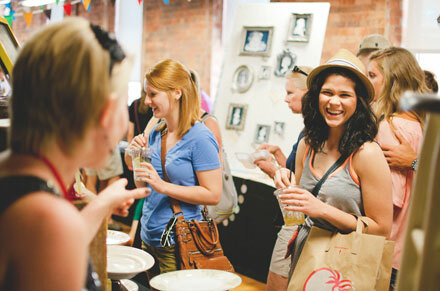 You'll enjoy quality crafts, local food, DJs and the opportunity to make friends and connections with the artists themselves. The Museum’s team will offer workshops, demonstrations and activities that adults, and even the littlest crafters, can enjoy. All crafters and artisans are encouraged to submit their work for consideration. If you're interested in participating, head over to their website, read all of the details. Applications are open until March 23.